One year ago, after realizing that the industry I’ve previously worked in for almost decade had nothing in common with my personal values, I decided it’s time to start from scratch in a new domain. It might sound cliche, but, nonetheless, it’s true. I’m an introvert who values honesty, transparency, and hates drama or conflict – almost a 0 overlap with the music business industry, where I’ve been trying to squeeze myself into, to the point of getting into the most miserable and frustrated state I’ve ever experienced. That’s when I started to build The CEO Library, an online project for curious minds, at the intersection of books, entrepreneurship and personal development. This is not the first time I’m diving into a completely new field. A few years ago, I started working for a cybersecurity startup as a content marketer and learned its insights from 0. I’ve also helped a local running community thrive and grow – I might be running on mountain trails in my free time, but I surely knew nothing about the local sports business. And I’m sure this cycle will repeat itself in the future – I’ll start from 0 and will need to reinvent myself over and over again, in multiple other fields. Adaptability will become more and more vital in the future of work. It’s the reason why I’m always setting aside time to learn new things. Our brain is like a muscle – if it’s not used, it gets atrophied, so I want to keep it trained. Let’s look at it from a different angle. I hope we’re all on the same page when I say that future businesses will require completely different skills and knowledge. What skills exactly? That I cannot pinpoint exactly – nobody can – there’s no way of knowing. Jobs exist today that we’d never even heard of a decade ago: app developer, social media manager, blockchain ICO expert, driverless car engineer, and so on. There’s a massive war for talent going on since it’s challenging to find and hire people with the right skills and knowledge to fill the vacant roles. Children who are currently in schools will most likely end up working in a field that’s not even on our radar. Also, consider the half-life of facts: facts don’t remain true over the years, as they’re replaced by new discoveries that contradict what we thought we previously knew. Most of what we learned in school is rendered obsolete. So how we can survive and thrive in the modern environment of accelerating change? How can we keep up with the pace? Well, you know the saying “give a man a fish and you feed him for a day; teach a man to fish and you feed him for a lifetime”? This old proverb emphasis the importance of teaching a person how to do something for themselves – instead of doing it for them, this approach will be more efficient in the long term. However, there’s a superior stage to learning. It’s the ability to learn how to learn. This is the ultimate meta-skill, especially as an entrepreneur – if we master this, there’s almost nothing that will stop us from achieving our goals in life, as we can apply it in every field that interests us. If we’re able to adapt, identify what new skills are needed, learn and master them quickly, we’ll surely thrive in the new economy. So how do we start from scratch in a completely new field? How do we know what sources are trustworthy? How do we focus, get into a state of flow and practice in a chaotic, noisy environment? How do we keep an open mind and how do we unlearn things? And, above all, how do we reach mastery in a short time? Especially if we want to dominate in the fast-paced modern environment! This is what the books below are about. Each and every one of them is about learning how others learned and mastered new fields. They’ll help us understand how to learn, what tactics and techniques will help us become better at anything. Do pair them with autobiographies and how-to books written by people who’ve actually done what you want to do. No fluffy, bloated books are worthy of our time. But you also need to know when to stop studying and start applying. Learning about someone else’s experiences without getting hands-on experience becomes procrastination. Chris Oliver: The Art of Learning as well is phenomenal. You’re always learning new things in programming and startups so being good at learning is a crucial skill to have. This book is your go-to manual for learning and mastering any new field you want to. It uses Josh Waitzkin’s life experience as a frame, and the strategies he applied to learn chess and martial arts. Josh has dominated the world of chess since childhood, he’s an eight-time National Chess Champion (title first earned when he was only 9 years old), and also a martial arts champion, with several National and World Championship titles in Tai Chi Chuan and Brazilian Jiu Jitsu. Marin Gerov: Talking of Tim Ferriss, his series (The 4-Hour Workweek, The 4-Hour Body, The 4-Hour Chef) have been extremely good resources for improving work, health, and learning. It might sound odd recommending a cooking book, but this an underappreciated resource on the subject of learning. Cooking is just the pretext for the underlying theme of the book: accelerated learning. If you want to learn how to master a new skill in a time frame most would consider mission impossible, you just have to follow Tim Ferriss and his experiments. Barbara is the creator and instructor of the world’s most popular online… course about learning how to learn. She’s a true polymath: she was a Captain in the U.S. Army, a Russian translator, radio operator at the South Pole Station, teacher in China, engineer, professor, and author of eight books. Pair this book together with her course or, at least, listen to her conversation with Shane Parrish from FarnamStreet Blog. Vladimir Oane: He does a brilliant job proving that our thinking about learning is rooted more in superstition than in science. And boy this book is filled with science. It is extremely evident that the author is a science nerd because this book is 95% filled with studies and experiments on lots and lots of topics related to the learning: memorization, forgetting, associations, perceptions etc. This could make the book boring for a reader hungry for the bite-size advice (who has the time for any of this?) but I found the research fascinating and I went the extra mile in a lot of cases by going through the source material. Benedict argues that most of what we know about learning is wrong and debunks tons of the educational myths and preconceptions. Barbara Oakley: If you’re trying to keep up your reading about learning, one of the best books about learning is Make It Stick: The Science of Successful Learning by Peter Brown, Henry Roediger III, and Mark McDaniel. This insightful book was co-authored by some of the most influential researchers around. The book jacket says it best: “Many common study habits and practice routines turn out to be counterproductive. Underlining and highlighting, rereading, cramming, and single-minded repetition of new skills create the illusion of mastery, but gains fade quickly. More complex and durable learning come from self-testing, introducing certain difficulties in practice, waiting to re-study new material until a little forgetting has set in, and interleaving the practice of one skill or topic with another. Speaking most urgently to students, teachers, trainers, and athletes, Make It Stick will appeal to all those interested in the challenge of lifelong learning and self-improvement. This one’s another great reading on how we can become more productive learners. It warns about study habits and practice routines that turn out to be counterproductive. Bill Gates: Of the five books I finished over vacation, the one that impressed me the most – and that is probably of broadest interest – is Moonwalking with Einstein: The Art and Science of Remembering Everything, by science writer Joshua Foer. This is an absolutely phenomenal book that looks at memory and techniques for dramatically improving memory. Foer actually mastered these techniques, which led him to the finals of the U.S. Memory Championship. His book gives fascinating insights into how the mind works. Read this one if you want to improve your memory (because of its highly suggestive title, you probably won’t be able to forget it). It’s a year-long quest of Joshua Foer improving his memory under training from the top “mental athletes”. Jana Eggers: My entrepreneurial and leadership inspiration came from a long line of amazing women in my family that always acted independently and gave me the fire and confidence to chose my path, and some fantastic and inspiring men who always expected me to do more. 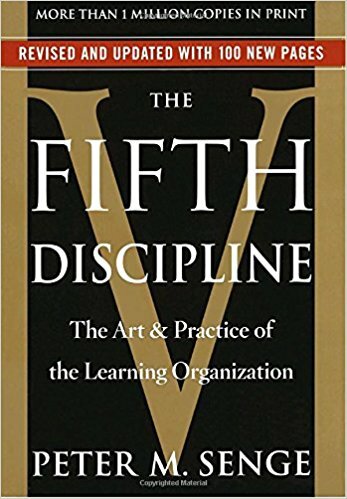 What I love about 5th Discipline is that it focuses on learning, specifically teaching and inspiring your organization to be a learning org. It is more critical than now than ever before that we be able to learn from customers and the current context of our business for adapting to new challenges. One of my favorite parts of the book is how it teaches teams to work across boundaries — systems thinking. I’ve found this builds amazingly cohesive and respectful teams. So this is a business book, but it is really about organizations and how to get them learning and working together for a common purpose. If you already lead an organization, this one will surely prove to be helpful. The author defines the five business disciplines that help organizations with their ability to learn, absorb new ideas, thus succeeding over the long term. James Altucher: What better way to learn about success then the minute paths taken by 100s or 1000s of successful people.It feels like Robert takes everyone in history and dissects the exact moments and decisions that led to their great success. 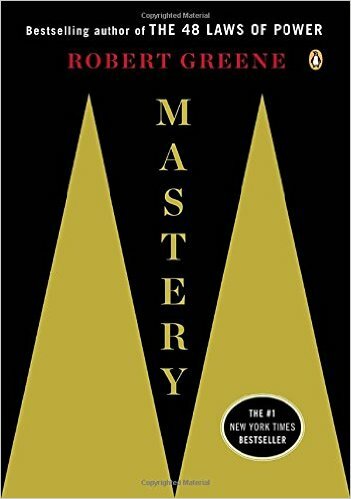 By studying the best people in a field and dissecting their behaviors, Robert Greene takes us through all the steps needed towards mastery – from apprenticeship all the way to innovating your field. Bogdan Lucaciu: Greatness can be cultivated through deep practice, ignition and master coaching. 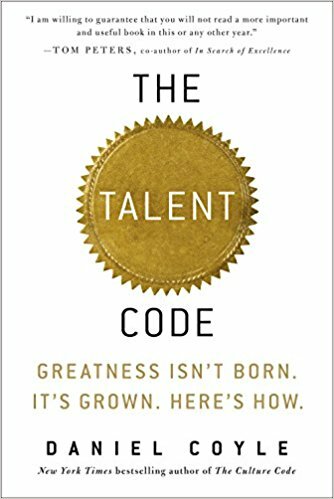 A book about the three key elements for mastering any skill: deliberate practice (it’s not enough to work for 10,000 hours in a field, as Gladwell argues in Outliers), ignition and master coaching. Tudor Mihailescu: Mindset by Carol Dweck has been a book I have constantly referred to. The whole book is build on the duality of Fixed vs Growth mindset and the choice we have in picking which way we go. While it has obvious professional links, it has also been very relevant in my role as father – a role for which one is probably least prepared. In dialogues with my young boys, who are inherently very competitive, I have played back a lot of the insights – digesting with them what brought a certain success (work vs native, for example), and equally reconciling failure. If you are skeptical regarding your capability to learn new skills, then perhaps you should start with this book. 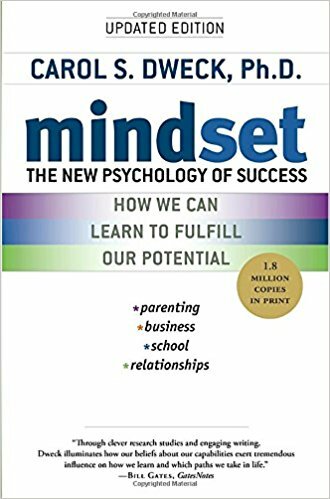 Carol Dweck makes the distinction between people who are in a “fixed” mindset, who believe that they’re born with talents and focus just on the outcome instead of the process. On the other hand, people with a “growth” mindset believe that our abilities can be developed and expanded through learning.